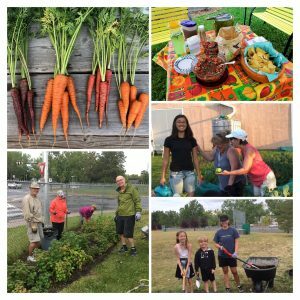 If you would like to be involved with our Community Garden for the upcoming 2019/2020 season, you can register for a Garden Plot online starting January 3rd, 9AM. Otherwise, you can register in-house beginning January 7th, 9AM. For instructions on how to register, please click here. Last day for plot registration is MAY 11th, 2019! Click here to Register for a Garden Plot for the 2019/2020 season! The Mid-Sun Community Garden was founded in May 2009. A group of interested and enthusiastic Mid-Sun residents banded together to help build thirty 8′ x 4′ raised beds for the grassy area on the north side of the community centre. In 2010, twenty more beds were added, as well as several perimeter fruit trees, Saskatoon bushes, and other landscaping considerations. There are now over 60 garden beds and an ever expanding, enthusiastic garden committee made up of over 20 dedicated volunteers. Have questions? Check out our Frequently Asked Questions or email the garden committee at: midsungarden@gmail.com. The Community Garden is a great asset of the Community Association to enhance the quality of life of individuals and families. Volunteer for Team roles and general Work Bees to enhance of the Garden area and its features. We celebrate individuality and Inclusiveness with gardeners of all ages, including children from Mid-Sun Day Care and Summer Camps. 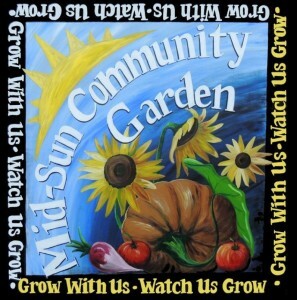 Timely notices of garden events, team communications, and messages from the Garden Leadership Team are distributed via email through midsungarden@gmail.com. Gardeners can communicate with the Garden Leadership Team through this email address. Monthly articles are published in the Mid-Sun Messages, the Mid-Sun Community Association newsletter which is delivered via mail. 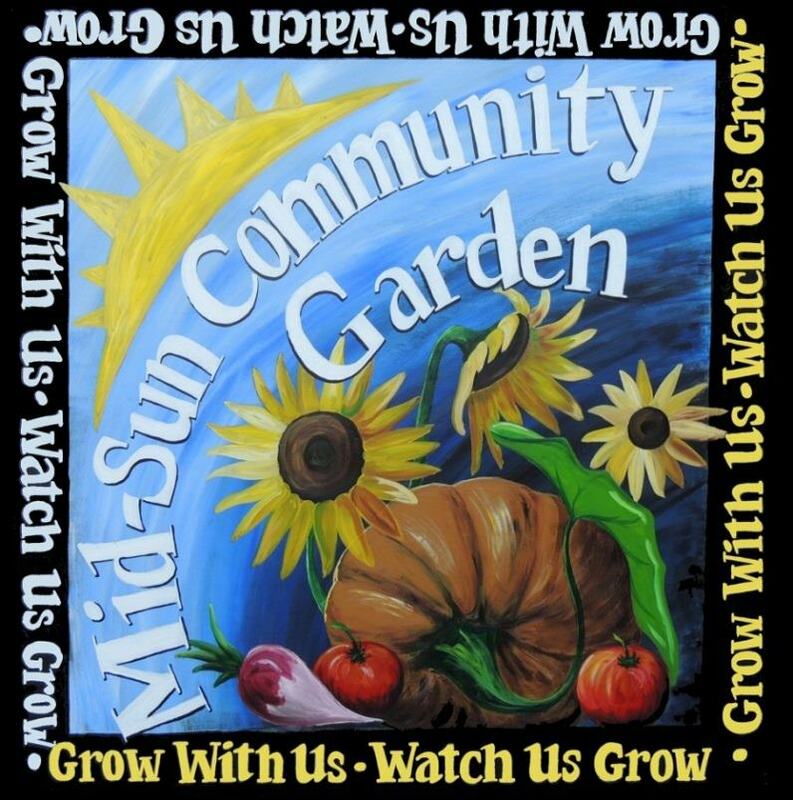 You can find our current garden events under our Mid-Sun Community Events page! The Parks department is launching a new tree planting initiative targeting 25 communities each year over the next three years. These communities where chosen based on many factors, the main ones being storm damage, open canopy space and community interest. This will be replacing the current NeighbourWoods program. The plan is to ‘blitz’ communities by planting trees and providing the community with education activities. How is this different from NeighbourWoods? This program will not be asking residents to register their property for a tree, the tree locations will be pre chosen by Urban Forestry. If a tree location is on the back of walk of a property, that home owner will be notified a minimum of two weeks before the tree is planted. This program will also be planting in locations where dead City trees have been removed, as well as replacing storm damaged trees.